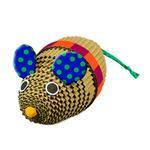 This Petstages Wrestle and Scratch Corrugate Cat Toy Mouse is fun for cats of all sizes! 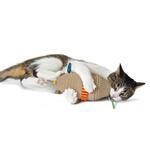 The Wrestle & Scratch is made of cardboard and the corrugate helps to condition both the front and back claws of your cat. This toy is the perfect size to hug, scratch and wrestle. The ribbon tail is great to chase and bat. 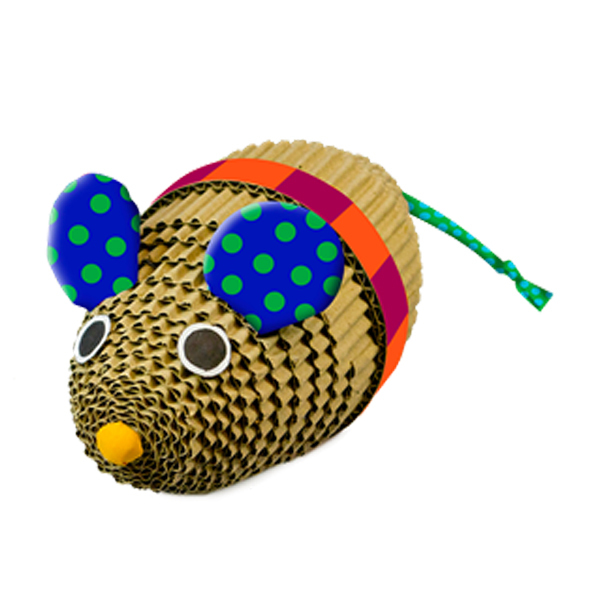 The ears have crinkle material in them that cats will love. Love the product , affordable price ,good quality ,very happy with purchase !